Sometimes it is necessary for a WP Hosting engineer to log into your website to troubleshoot an issue. 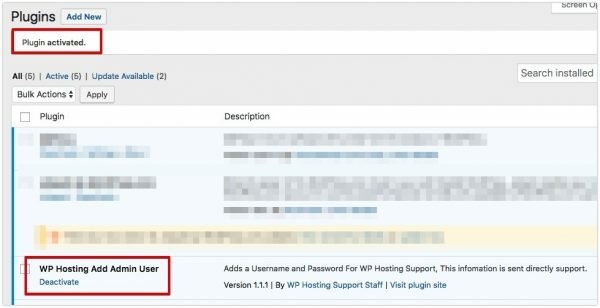 Rather than sending through login details via email or ticket, follow this simple guide to allow access to your website using a WordPress plugin. 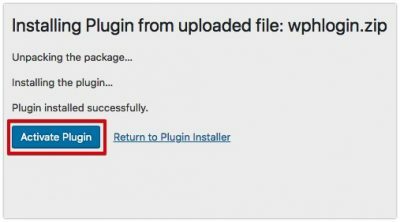 Download the WordPress plugin by visiting this link. 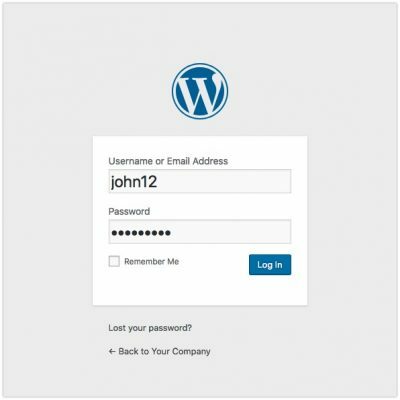 Next login to your WordPress website, using the details you’ve stored securely. If you need reset your password, review this article. 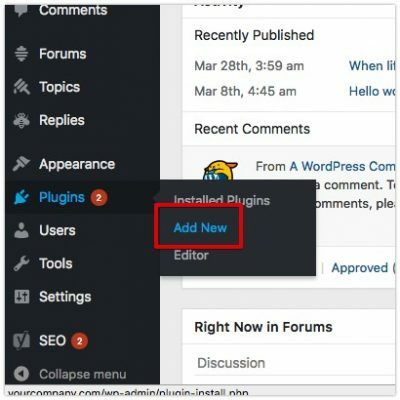 After logging in, on the dashboard find Plugins in the side menu then click Add New. 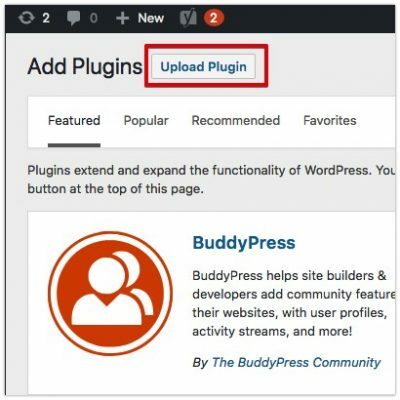 Find and click the Upload Plugin box, then using the provided options – upload the zip that you downloaded in step 1. The plugin will install and if successful you will be presented with the option to Activate Plugin. 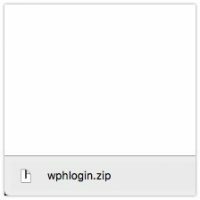 Click this button and the user will be created automatically, with details sent through to WP Hosting.